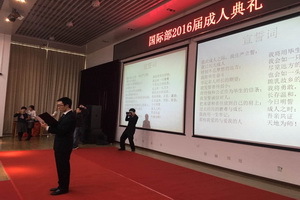 On March 4, 2016, the International Department of Beijing No.80 HighSchool held the Coming of Age ceremony for the class of 2016 students, theirparents and their homeroom teachers. Before the ceremony began, the audience watched a video which recordedthe growth of every student. Students and parents laughed as they watched theirchildren become today’s handsome boys and beautiful girls. The atmosphere waswarm and sweet. 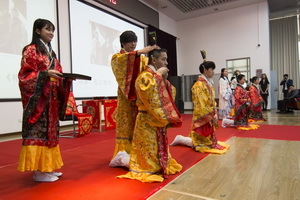 When the video ended, the traditional Chinese Han style Coming of Ageceremony started. The melodious music from the traditional Chinese instrumentsgave the ceremony an authentic flavor. Then came the vow, the most important part of theceremony. 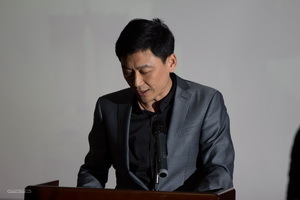 Followed by Mr. Chenyu Liu, students solemnly vowed to be brave asthey face the difficulties of the future, to be responsible for themselves, andto be moral citizens. This simple vow contains a lot of power, since it willguide the students towards more brilliant lives in their futures. 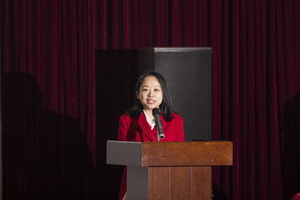 After the vow, Mrs. Xiaojun Li, the vice principal of Beijing No.80gave her best wishes to all the seniors; Homeroom teachers and a parent representative,Kedi He’s father also spoke. He’s father’s speech conveyed his hope for theclass of 2016’s future success and a healthy lives. Everyone in the hall was moved. At the end of the ceremony, parents gave their gifts and letters totheir children. 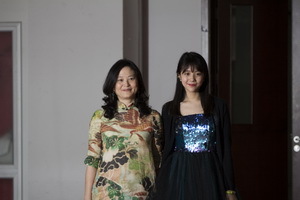 As students opened the gifts and envelopes, warmed by thefeeling of their parents’ love. 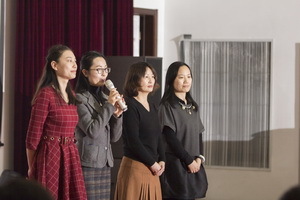 At that moment, the hall was brimming with thelove between students and their families. Finally, the coming of age ceremony ended in a warmatmosphere. Students walked through the ceremonial gate with their parentsaround them. During the ceremony, students realized their responsibility, andbecame more brave. We hope they all live brilliant lives through endlessefforts, and become who they want to be in the future!